Xiaomi has a knack of launching products that mark its foray into new territories from time to time. 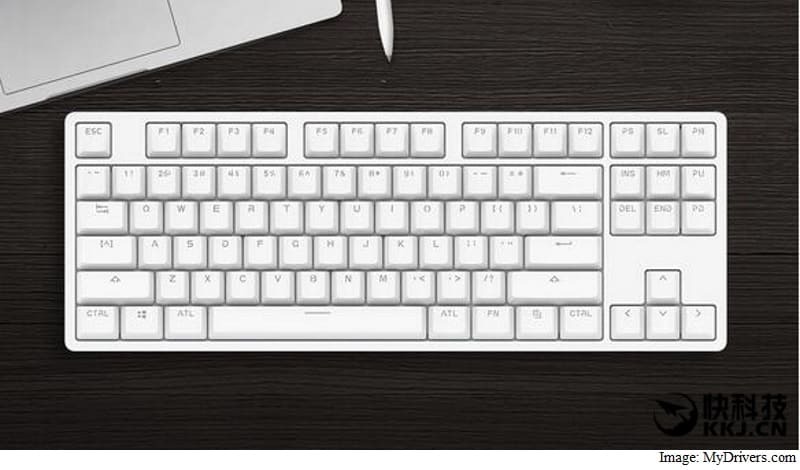 Now, the Chinese company has launched a sturdy keyboard, named Mi Wyatt Meter Mechanical Keyboard. The keyboard weighs 940 grams and is built out of metal as well as polycarbonate shells. The keyboard has been priced by the company at CNY 299 (roughly Rs. 3,000). The Mi Wyatt Meter Mechanical Keyboard has 87 keys in total and comes with LED backlighting for typing in the dark. It reportedly comes with a STMicroelectronics master chip, 32-bit ARM architecture, 1000Hz refresh rate, 1ms response time. The keyboard also has a kickstand at its bottom to elevate it up to an angle of 6-degrees. The keyboard has been launched exclusively for China, with no details on a launch in other markets as of now. As per the listing, Mi Wyatt Meter Mechanical Keyboard comes with 3528 LED lamps with colour temperature of 6500K and six-speed emission luminance. A maximum of 11 keys of the keyboard can be pressed at a single time and it can be connected to any laptop or PC. The keyboard is said to be available via company’s crowd-funding platform Mijia. On a different note, Xiaomi India announced on Wednesday that the company has sold one million smartphones in the country in last 18 days. “India is an extremely important market in Xiaomi’s globalisation strategy. It has become our largest market outside of mainland China. I am confident that with the sustained efforts of our entire Xiaomi family, we will be able to capture the largest market share in India within 3-5 years,” Jun said in his letter.